Homepage / Product categories / Handcrafted Home Gifts / Hand painted Wooden Gifts / Hand-painted recipe book, leather sided stripe. Hand-painted recipe book, leather sided stripe. 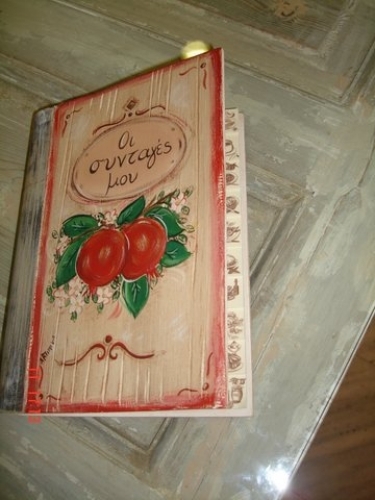 Hand-painted recipe book made of natural wood, leather sided stripe, with certificate seal of origin.